An ectosymbiotic nicoletiid silverfish with fire ant host species. 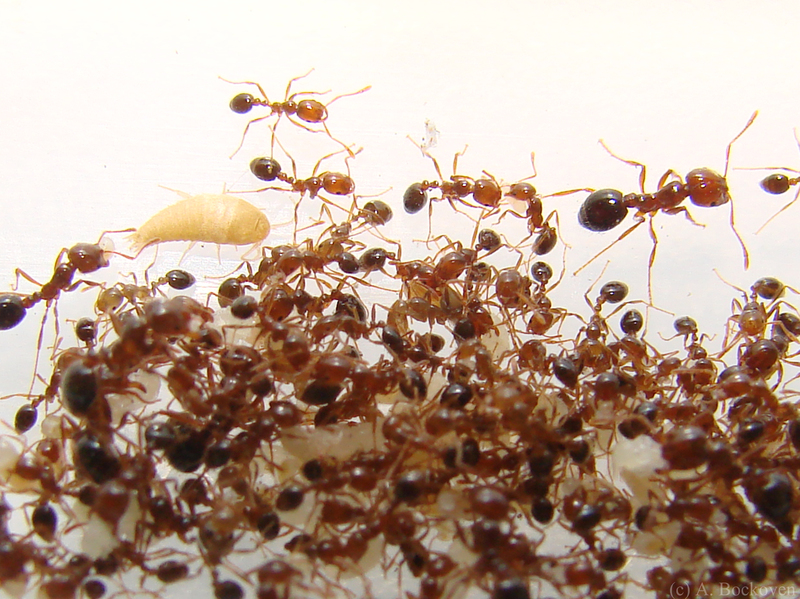 The small, pale insect in the midst of the fire ants above is a myrmecophilous (“ant-loving”) silverfish, a member of the order Thysanura and the family Nicoletiidae. 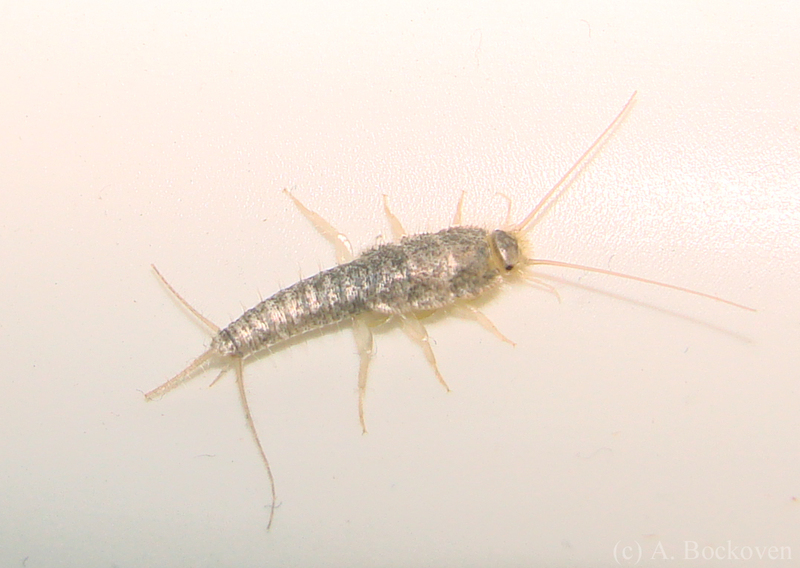 This species of silverfish is one of a small but diverse group of insects and other arthropods that have adapted to living as symbiotes within an ant colony. 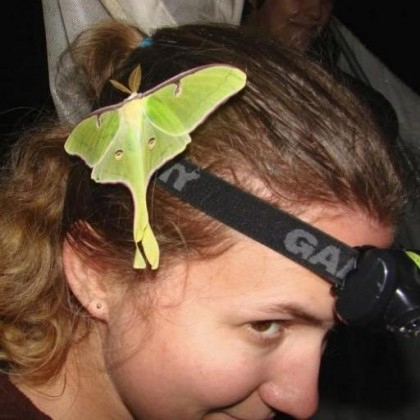 Although these insects appear very different to human eyes, they coat themselves in chemicals which fool ants senses of smell and taste into believing them to be nestmates. Species of myrmecophilous silverfish have been known to groom their ant hosts, and feed on stolen prey or regurgitated food from the ants. 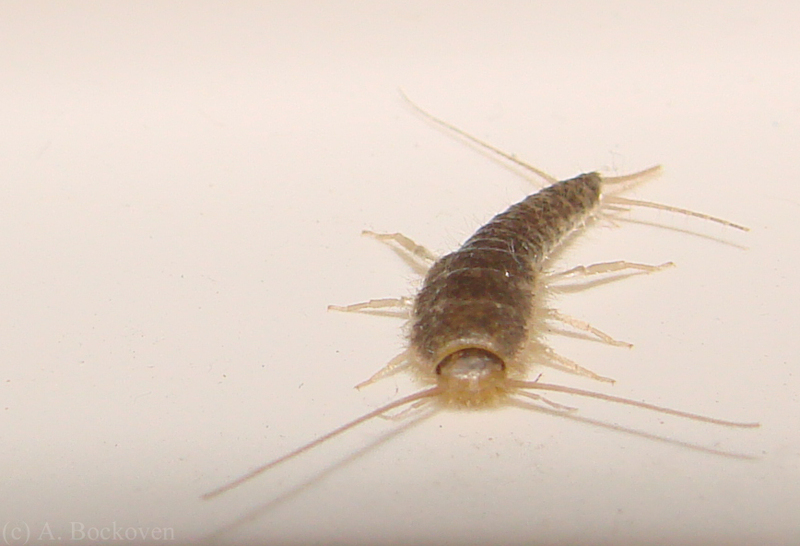 Most people are more familiar with silverfish as the small, silvery insects which frequently inhabit bathrooms or basements in human households. Silverfish are a primitively wingless species of insect (branching off from other insects prior to the evolution of wings). Thysanura means “fringe tail” and refers to the three caudal filaments extending in a fringe from the end of their abdomens. 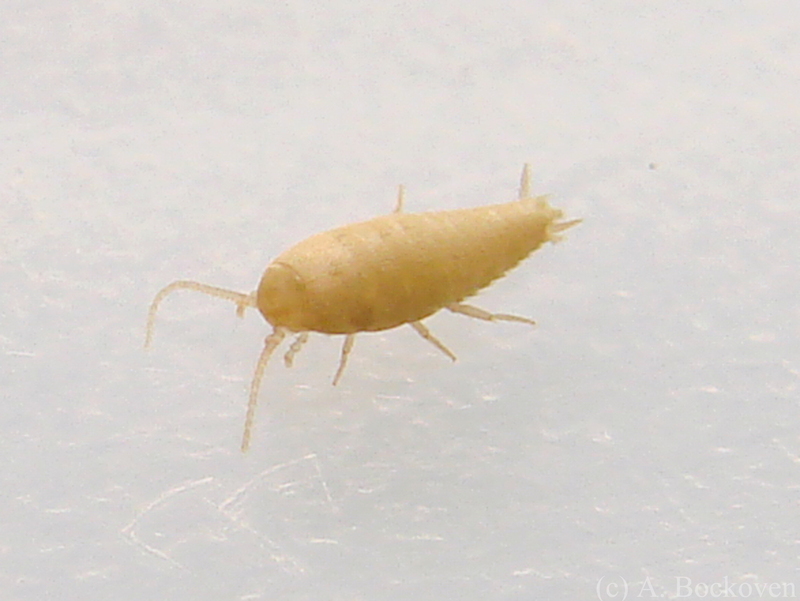 Nicoletiids are generally extremely small and pale, as well as completely eyeless. 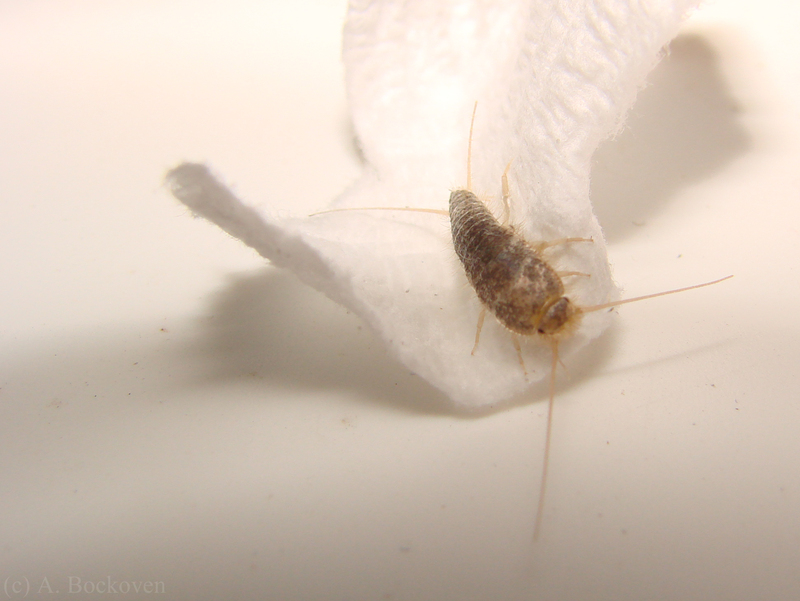 A myrmecophilous nicoletiid silverfish from a fire ant nest.